Our Pit-Type Truck Scales are available in three (3) basic capacity configurations. These would include the Standard Duty, Heavy Duty & Concentrated Load Capacity Pit Type Truck Scales. For heavy traffic with trucks consistently loaded to maximum legal limits. 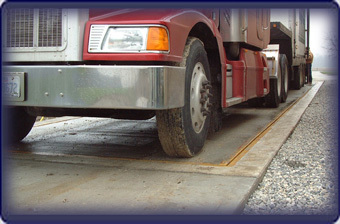 Our highest capacity and most durable truck scale for the most demanding applications.